Darien High School graduate Diego Siragna wrote, directed and edited "The Wanderer," a 15-minute film he plans to submit to the Sundance Film Festival. "They always say there's a movie you write, a movie you shoot and a movie you edit," Diego Siragna said in New York City two weeks ago. "That was certainly true with this film." Siragna, a former Darien resident and Darien High School alumnus, wrote, directed and edited "The Wanderer," a 15-minute short film that will be submitted to the Sundance Film Festival later this year. He started writing it in November 2011 and, with some difficulty, finished it in February. "I was just never sort of happy with the screenplay, with the draft I had," Siragna said. "So I went through several revisions." When he finally felt he had something to show his producers, Siragna began casting actors for the film. 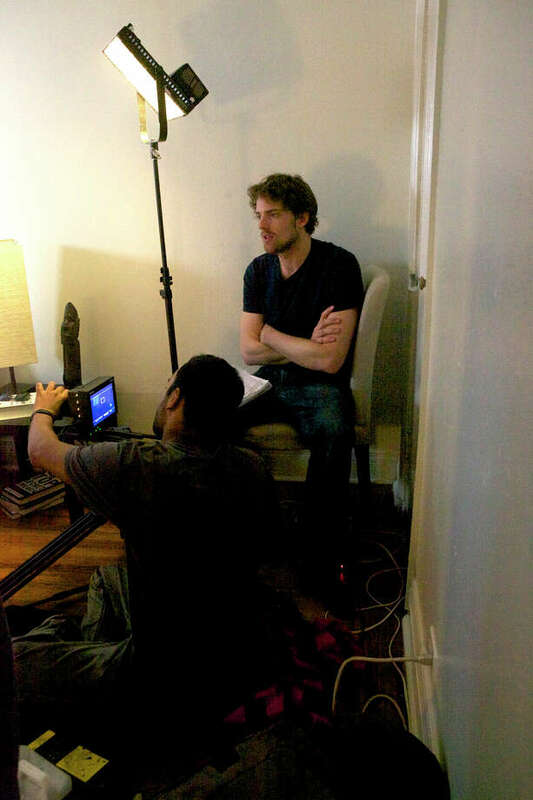 Shot over a four-day period in Brooklyn, N.Y., this psychological thriller has no dialogue. The main character Rick, a man facing an inner struggle resulting from his life as a womanizer, narrates the film. "It's totally original. An original plot line; an original character," Siragna said. "It has a sense of reality because you can really get a sense of who this guy is. And that's what I think a lot of films are lacking these days, is an original character." Backed by Wadadli Films and Policroma Productions, Siragna said they are in the postproduction phase to make sure these qualities of the film stand out at Sundance in January. "There's a lot of competition and it's really about what your film has to offer that others don't," he said, pointing out the major deadlines for Sundance are in September. The film will be submitted to other U.S. festivals as well, like Tribeca Film Festival and Los Angeles Film Festival. It will also be submitted to international festivals, including the Toronto International Film Festival in Canada and San Sebastián Film Festival in Spain. "This is actually the first film that I will be submitting to festivals," Siragna said. "I've done about six or seven other short films ... but they didn't have as much focus as I put on this project." Until recently, Siragna called himself a freelance film editor, working on feature documentaries like "Young Lakota" and "Who Cares About Kelsey?" But he feels this project is going to launch his directing career, something he always dreamed of doing. "Directing has always been the main goal of mine," he said. "It's just sort of a different thing to really get your foot in the door because it's always about getting noticed, and that's what short films have always been about." Siragna's passion started with photography at age 13, when his mom gave him her Nikon FM2 camera. "I just started taking pictures and it became a hobby of mine," he said. Siragna asked for his first video camera when he was 15 years old, adding, "I went to a summer camp at age 16 in Orlando, Fla., and that was just a decisive factor in getting into filmmaking." Before graduating from Darien High School in 2005, Siragna was part of the video production class. "We did a bunch of short stuff, not actual films," he said. "Just sort of little pieces about the school." He continued his passion at several schools in New York, including Syracuse University, New York Film Academy, New York University and The New School. Transferring from school to school, unable to find a place he wanted to stay, Siragna eventually left for job opportunities without ever graduating. Now living in Brooklyn, Siragna said would continue to shoot short films on the side with friends, using the city as their setting and backdrop. When he finished writing "The Wanderer," Siragna said, "We just decided we would combine our efforts and our talents to make this short film, and we just shot it in March of this year." Siragna funded everything up to the point of postproduction with money from jobs editing other films. "The budget so far was about $6,500 just for the preproduction and production, and we shot it on a Canon 5D and a lot of equipment that was pretty costly," he said, adding that he started a campaign on Kickstarter.com to raise a hopeful $7,500 for the postproduction. So far, the campaign has raised nearly $2,200 in more than three weeks. "We want to really sort of continue on that level of professionalism," he said, adding that the project didn't pose many challenges. "Just in terms of the writing process, that was sort of an obstacle," he said. "It tends to always be. Once the thing was written, it was really easy to make." Siragna said he couldn't wait for his next filmmaking adventure. "It's such a great thing," he said. "Just in terms of being on set is so different. It's just sort of a lively atmosphere, something that I've always loved. There's just a magic about being on set and working with actors and seeing something you've worked on for so long come to fruition and seeing the final product, and it's really an invigorating experiencing."